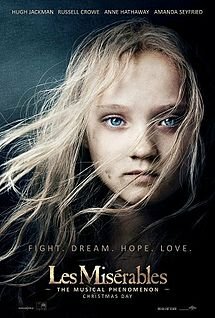 Just had to do it, go and see Les Miserables again, and it was even better the second time we saw it. Lincoln is next on my list of films to see, hope it is as good as Les Mis. Just out of interest, does anyone in the UK go to Odeon cinemas, and have they had booking problems via the internet. Bye for now, back to making my latest creation. Given tickets for our birthdays, myself and Keith trotted off to the local cinema and saw Les Mis. We were both a little sceptical about its running time of over 2 and a half hours. How silly were we, the film was brilliant, stunning, moving and so many more emotions, the time went so quickly we never once took a peek at out watches. The time and obviously the money that went into just the opening scene showed what was to come. We have never been to the theatre to see the show, but now that is on our list of things to do. Keith decided to take me to the local auction house, to have a look around for furniture for our spare bedroom. All started fine, but we did miss bidding on a lot that would have been OK, just missed seeing it during the preview. Then the fun started, Keith took a phone call from his son and went outside to answer it. The photo is a card I made that represents a scent bottle.